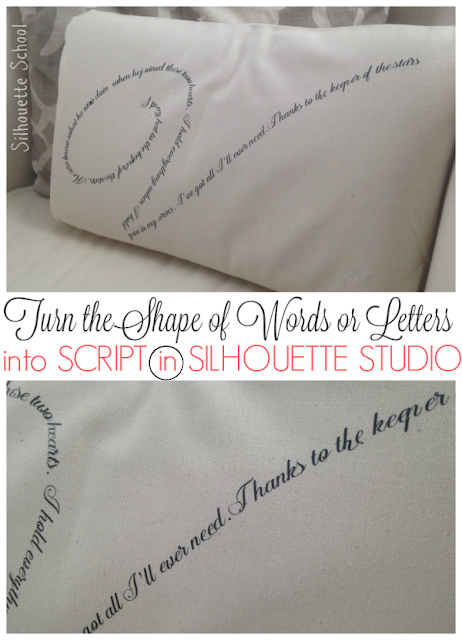 Earlier this week I shared a rather popular tutorial on how to turn lines of script into the shape of a word or a letter. One of the examples I used to demonstration the technique was this Love/love quote...so ou don't have to re-invent the wheel I thought I'd share it with you as this week's Freebie Friday Silhouette Studio cut file! I'm sharing the file in two different formats - one for cutting and the other for sketching or printing. You can simply download the file and it's ready to cut/sketch/print. I would not size it too small or the text becomes hard to read. 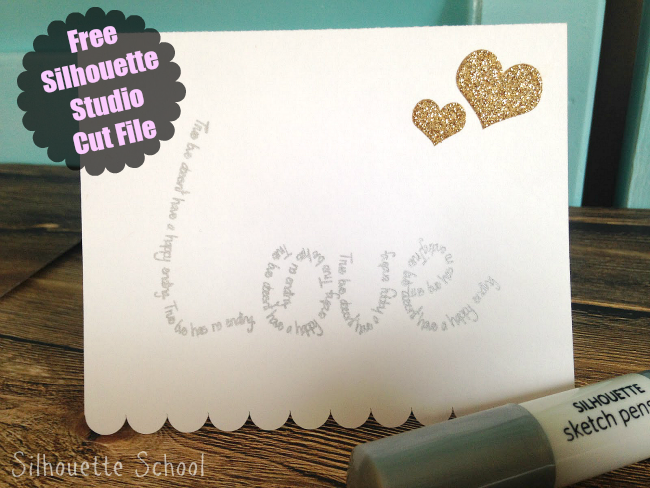 Please remember, this file, as are all on Silhouette School are free for personal use only! If you enjoy this file I encourage you to read over the full lesson so you can create your own design using this same technique. They make beautiful personalized gifts! Thank you so much for your tutorial AND the cut file. Love it! I'm sure I will use this a lot, thank you so much, I am learning so much with you. you've come through once again Melissa. Thanks so much! You are so awesome! I've been wondering how to do something like this!